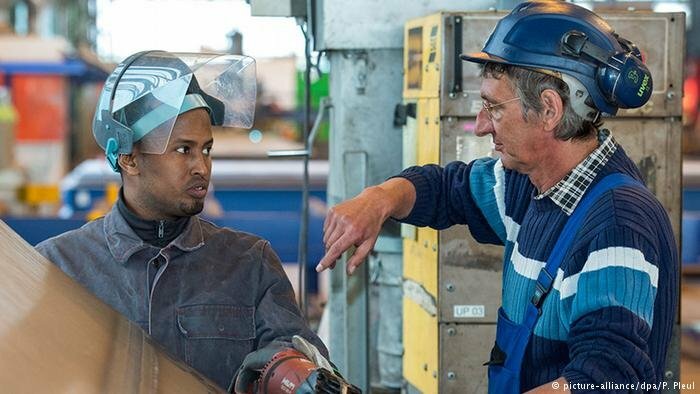 If you are a migrant or refugee with plenty of skill and experience in a trade but with no formal qualifications, then there is some good news. The German job center will let you take a test which can help you to get a job in your field of expertise. Waleed Ragb arrived in Germany three years ago from Syria. After going through the asylum process, the next step was to get work in his field of expertise - welding. The problem was, he had no papers to prove he could do the job. "In Syria, a friend taught me the theory. He had a lot of experience in welding. Then I went to a company and put what I'd learned into practice. I never did any courses - they were too specialized, or too far away," Waleed told DW reporter Christina Röder. It's hard to get a foothold in the German job market without formal qualifications. In the past, there has been no strandardized national tool for measuring informally acquired skills in professional activities. The Federal Employment Agency and the Bertelsmann Stiftung, a private foundation, are trying to change that. They've devised a test to determine whether a person has the expertise and practical skills for a particular trade or job. The MySkills test is done on a computer. It consists of about 100 questions on typical on-the-job situations and challenges. It doesn't assess practical application, problem-solving skills, motivation or German language skills. The test is available in six languages - German, English, Farsi, Arabic, Russian and Turkish. It takes about four hours to complete. You can take the MySkills test at your local job center or the employment agency. Contact your advisor and arrange an appointment. The MySkills test is for job seekers who have several years experience in one of the MySkills professions but do not have a professional qualification. At the job center, you will find out whether it's possible for you to do a test. You can also discuss whether you can sit several tests. You can find out what is required in a particular profession and how your level of expertise compares by visiting the meine-berufserfahrung.de (my professional experience) website before you take the MySkills test. Examples of test results can also be downloaded from the MySkills website. After the test, the job center receives an analysis of the result and invites the client to a meeting to discuss the next steps. These could include placements in training, work-trials, internships or employment. Those who perform well at MySkills may qualify for formal recognition procedures such as ValiKom. The MySkills test is free of charge. Will it affect my status? 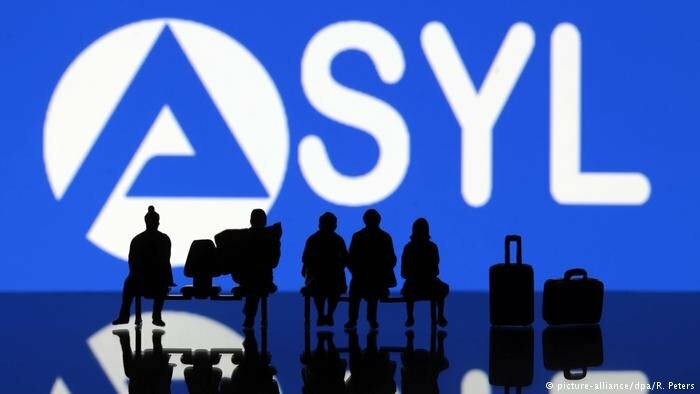 MySkills won't have any impact on your status as a refugee or a job seeker. There are no disadvantages, regardless of your test result. Employers have welcomed the MySkills initiative because it gives them a better picture of the professional competence that an applicant brings to the job, even if he or she doesn't have recognized credentials. 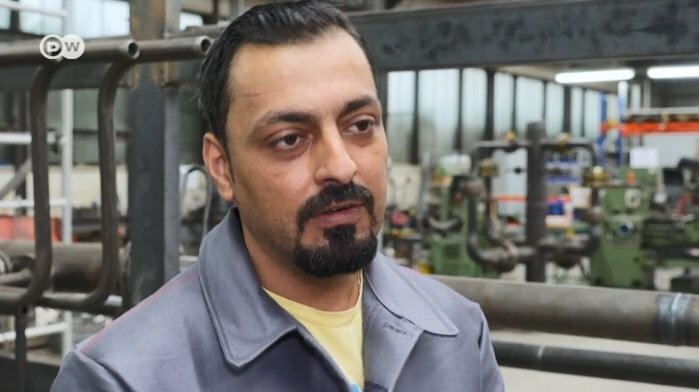 After he sat the test, Waleed Ragb immediately got a job in the metals trade. His employer saw the results of the test as more important than a formal qualification. Waleed then received two months training in the areas in which had little previous experience. Within a short time, he had his first job for one of the company's clients. Waleed isn't yet fluent in German - that isn't a prerequisite in the MySkills program. He hopes to become fluent through interacting with the people at work - after all, he's used to learning on the job.